"Apollo is a first generation Italian Daniff. 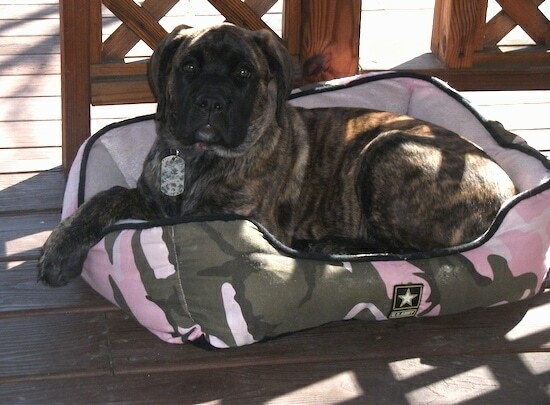 His father was a large brindle Cane Corso and his mother was a black Great Dane. We have had him since he was 8 weeks old. He's got the most amazing personality. He loves to talk, and has been an amazing watch dog. 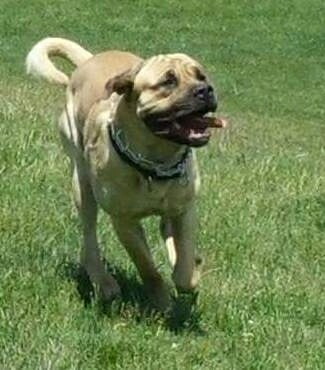 He just sired a litter of 3/4 Great Dane and 1/4 Cane Corso puppies." The Italian Daniff is not a purebred dog. 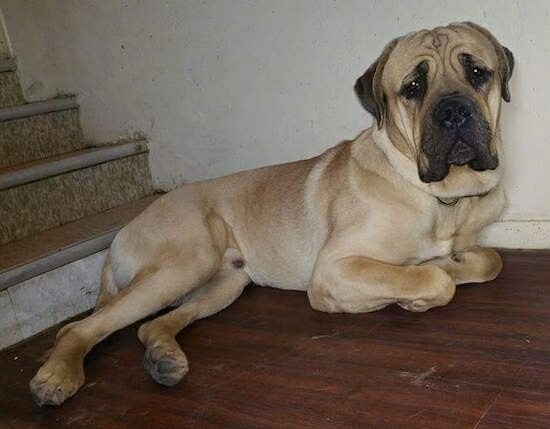 It is a cross between the Cane Corso Italiano and the Great Dane. The best way to determine the temperament of a mixed breed is to look up all breeds in the cross and know you can get any combination of any of the characteristics found in either breed. Not all of these designer hybrid dogs being bred are 50% purebred to 50% purebred. It is very common for breeders to breed multi-generation crosses. Apollo the first generation Italian Daniff (brindle Cane Corso father and black Great Dane mother) at 18 months old. 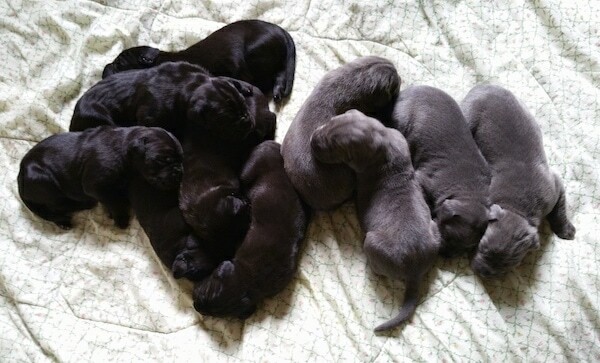 Apollo's sired litter of F1b 3/4 Great Dane and 1/4 Cane Corso puppies. 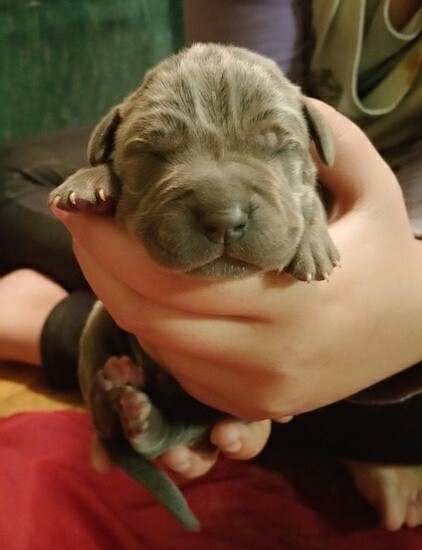 Apollo's sired F1b 3/4 Great Dane and 1/4 Cane Corso puppy. 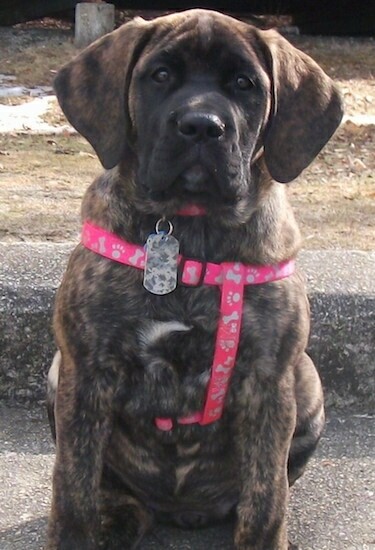 Marley the Great Dane / Cane Corso mix breed as a puppy—"Marley is a fun-loving, very gentle, quiet dog. She loves to play with other dogs, is very social, gets along with every dog and person she meets. She was supposed to be our guard dog but shes too friendly to everybody, although will give a warning bark to people she does not know, but it passes quickly... tail wags and loves to give kisses. Also very smart. Best move ever was getting her. We wouldn't give her up for the wolrd." 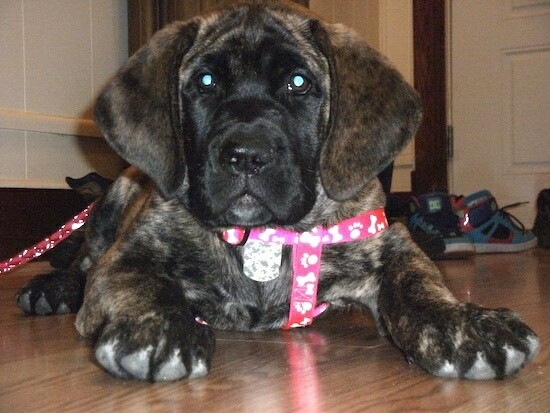 Marley the Great Dane / Cane Corso mix breed as a puppy.